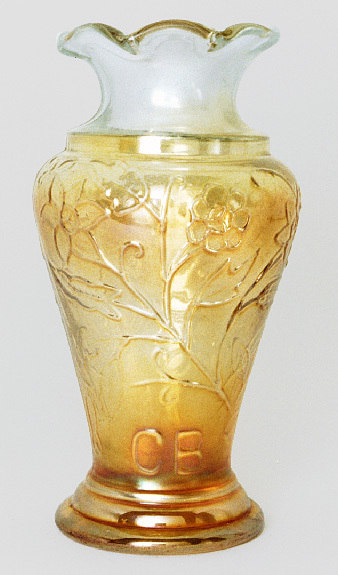 Named for the letters "CB" that appear near the bottom of the vase. The trunk has a floral pattern. This vase, about 6 inches tall in marigold, sold for $235 in 1999. While that price was typical at the time, prices have since dropped on similar Jain vases. Also see Tribal.